In May 2013, I was in Reykjavik for a PhD course on Climate Adaptation Strategy and Economics at the University of Iceland. It was coordinated by the Nordstar Research Programme (my second time to the Icelandic capital with Nordstar). 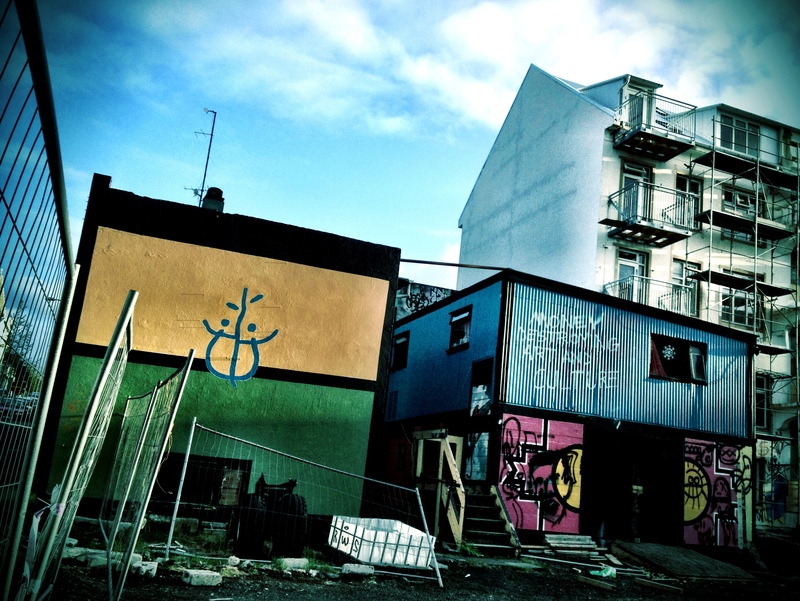 Reykjavik has a great small-city meets big-city feel, with many fun surprises worth blogging about. This is the second time I visited this magic city, and it continues to charm me. Last time, I wrote about a creative approach to curb inner-city driving – turning car parks and downtown streets into walking spaces and public squares over the summer. While the car-free campaign isn’t all that popular with Icelanders (who love their cars) it offers a different feeling in the central city – where pedestrians and outdoor cafes dominated on my last visit, cars held the reign in May. 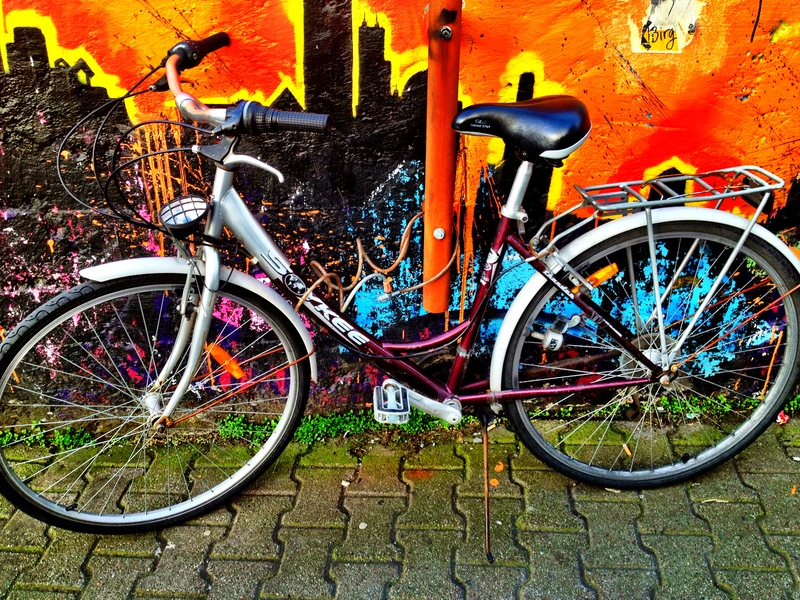 As a fan of the bicycle and walking spaces, it was interesting to observer Reykjavik in these two contrasts. 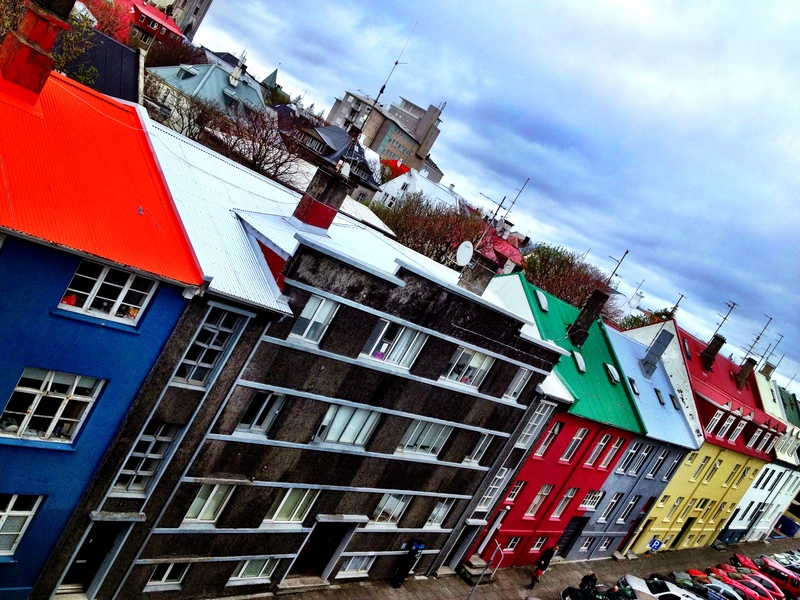 Still, with Reykjavik’s quirky charm, Viking roots and stark contrasts between concrete grey and bright colors, as well as between its dark rain clouds and sunshine, I was eager to explore the city again. 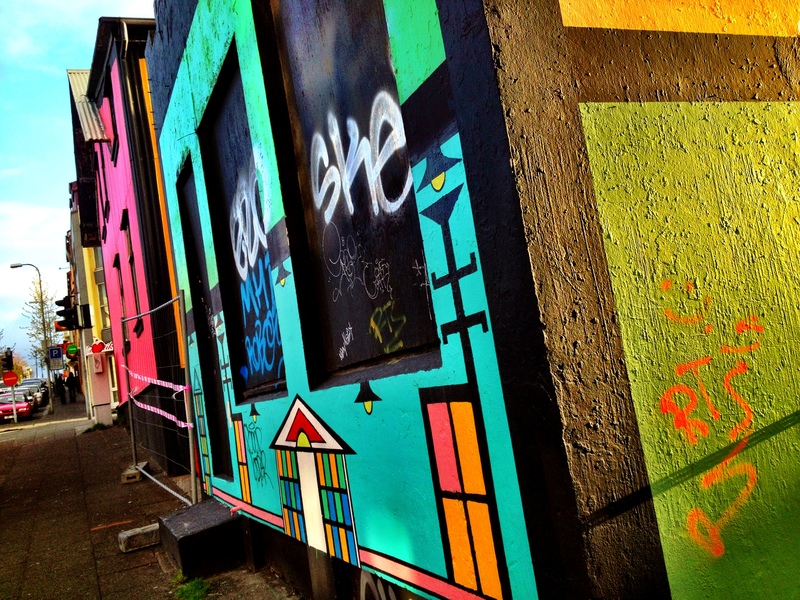 The central city district is easily walkable and quickly offers a sense of familiarity. 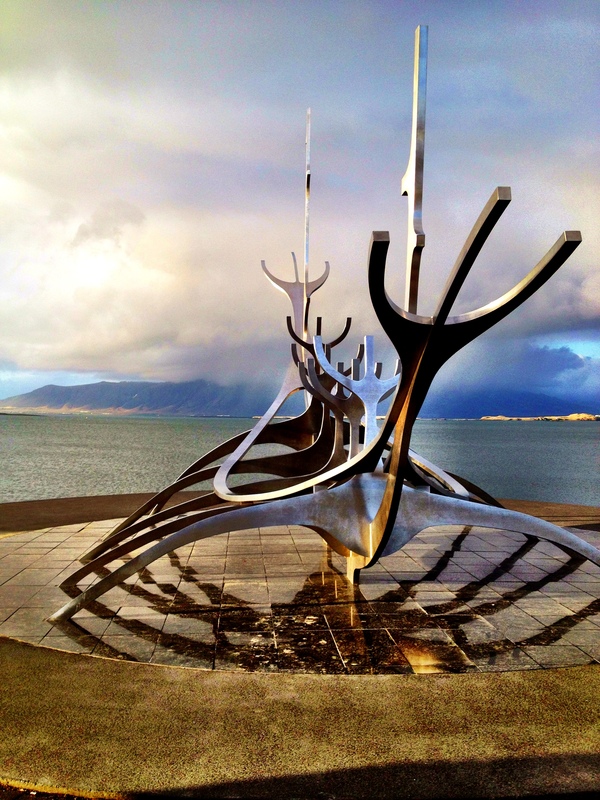 Aside from the car versus bicycle debate, another thing that becomes apparent when wandering the streets of Reykjavik is the city’s love of public art. A variety of sculptures can be found in its public squares and parks, and many buildings are painted in contrasting hues. Visiting the Northernmost capital city near the summer solstice has its advantages: long hours of daylight for exploration. 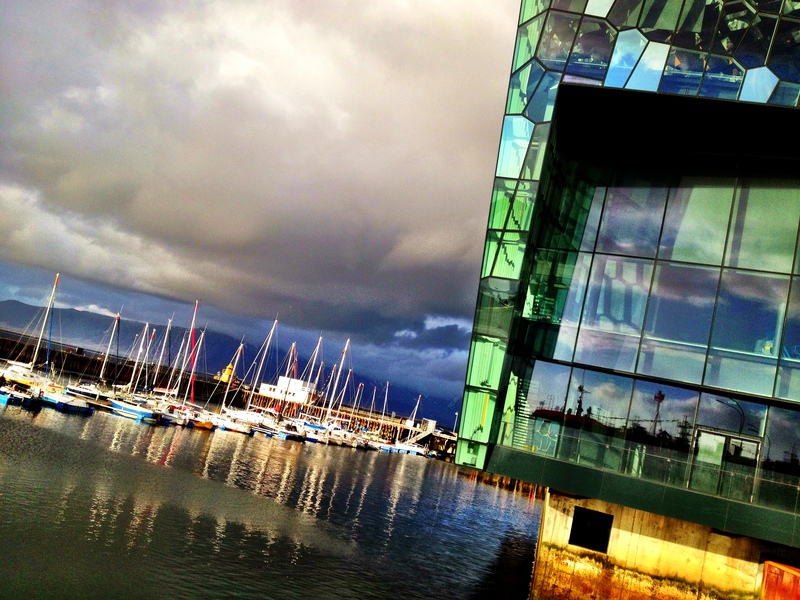 Harpa is the new concert hall and conference centre. It is a functional building and a new city icon – although part of its iconic status derives from controversy. Construction began in 2007, just before the financial crisis hit Iceland. To finish the project, the Iceland government invested additional resources in a time of crisis. Today, this building stands out as the city’s largest sculpture and (hopefully) as a symbol of Reykjavik for years to come. 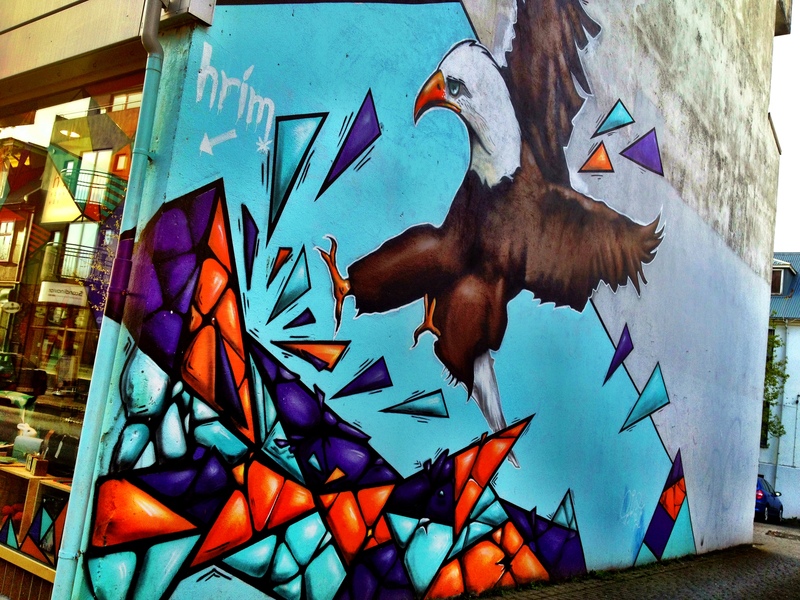 Reykjavik is also home to beautiful and skillfully-crafted street art. 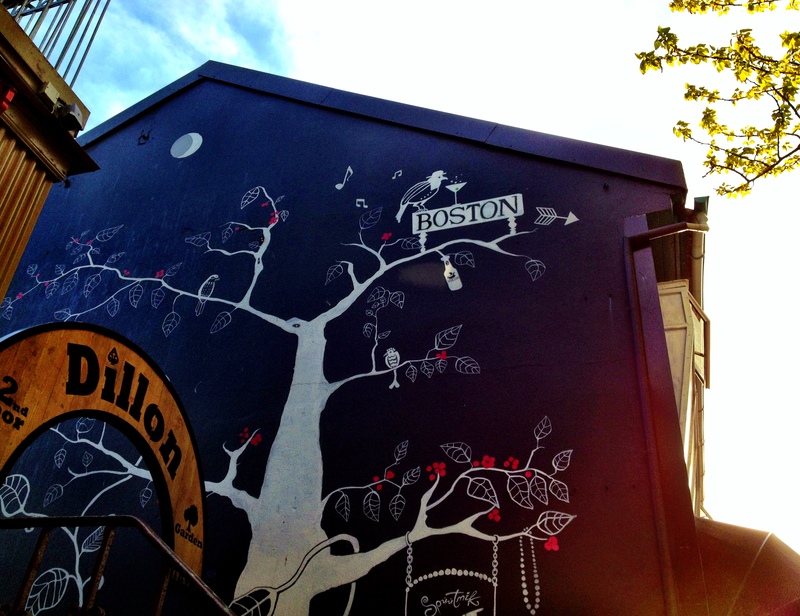 Walking around the city centre, it is easy to find bold masterpieces dominating several of its downtown buildings. 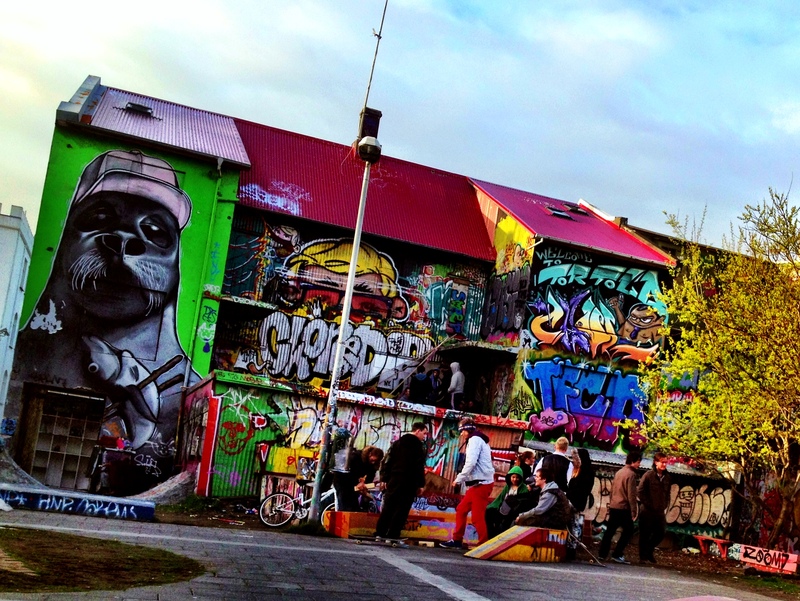 One of most famous areas for graffiti art is the city’s skatepark, blocks from the harbour and just off the main drag. Rumors have it that this area may be sold to build a(nother) hotel, but so far the skatepark stands its grounds. curious explorer through its city streets and hidden alleyways, eager to find more. 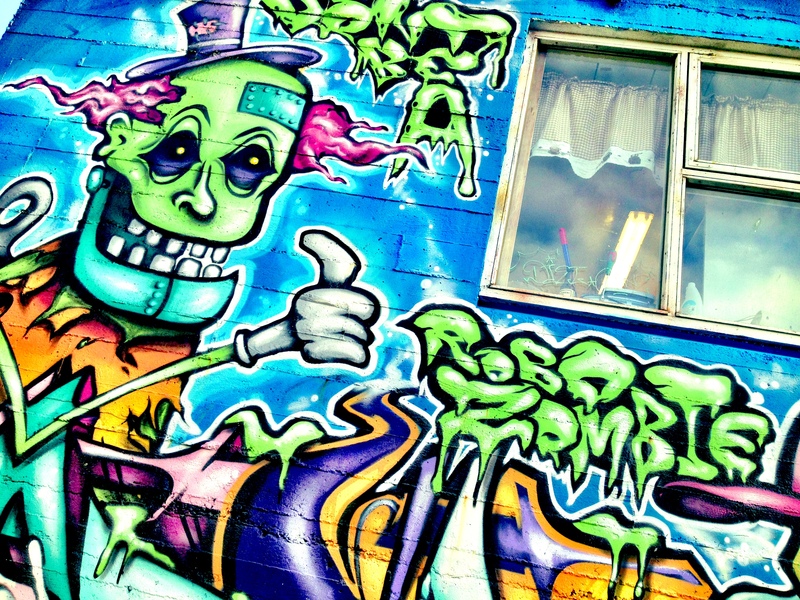 It’s not only on the city walls that Icelanders display their art. Iceland is known for its pottery, knitwear, craftsmanship and folklore, inside the city and its countryside. In Iceland, the power and dominance of the natural world is constant, and this most certainly influences its people and its artistic expression.